My friends and I have started doing monthly craft nights, and they're so much fun! We rotate who is hosting, and the host picks the craft project for the evening. Last week was my week to play host, and I thought I'd share with you guys what I've learned from it. 1. Don't bite off more than you can chew. Pick a project that can be completed in an hour or two (max). I chose weaving, which has the potential to take days and days, but I made sure our projects stayed nice and small so that we could finish them in a reasonable amount of time. 2. The less materials you have to buy, the better. 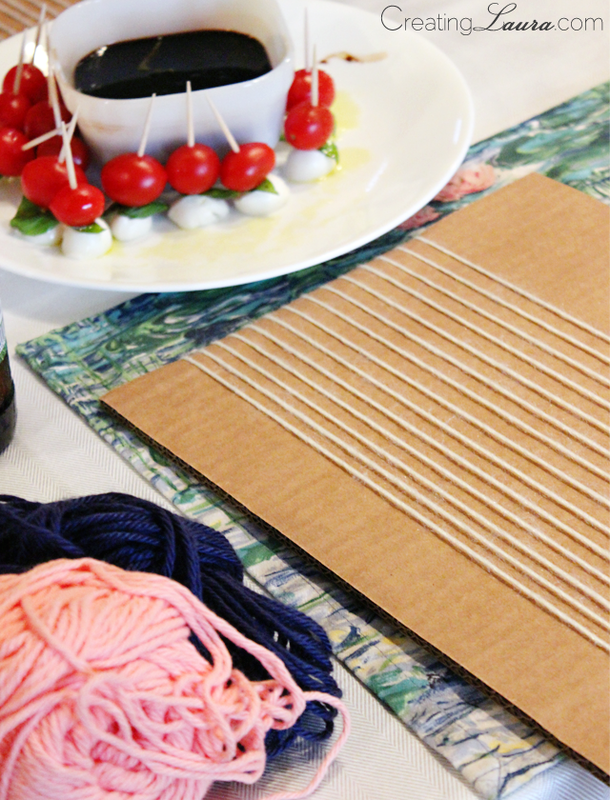 Craft projects can get surprisingly expensive if you aren't careful. That's another reason why I chose weaving. I knew that we could all use yarn from my considerable yarn stash, and I could make our looms out of cardboard that I already had lying around. 3. Make something (at least a little bit) trendy. Your guests are going to have a much better time if they're making something they think is cool. 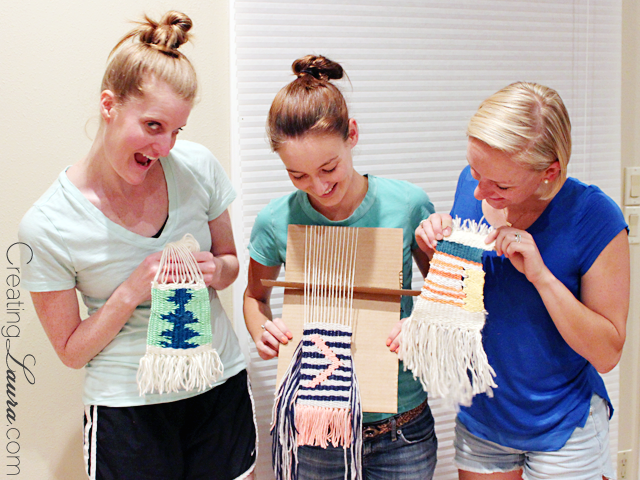 Weaving is everywhere right now, so I knew it would be a hit. 2. Have all the materials out and ready to roll when the guests arrive so no one has to wait around while you scramble for supplies. 3. Serve food that does't require a lot of your attention. This is, after all, a craft night and not a dinner party. Pick one appetizer that everyone can munch on throughout the evening and an easy main course like pasta so all you have to do is boil it and pour on the sauce. I served gnocchi with a butternut squash pasta sauce because it tastes fancy but literally cooks in 2 minutes. For the appetizers, I made cute little caprese skewers in the morning and left them in my fridge until party time. 4. If you and your guests are all over 21, provide alcohol. We're grownups; let's party! That's it! Most importantly, remember to have fun. The rest is just icing on the cake. 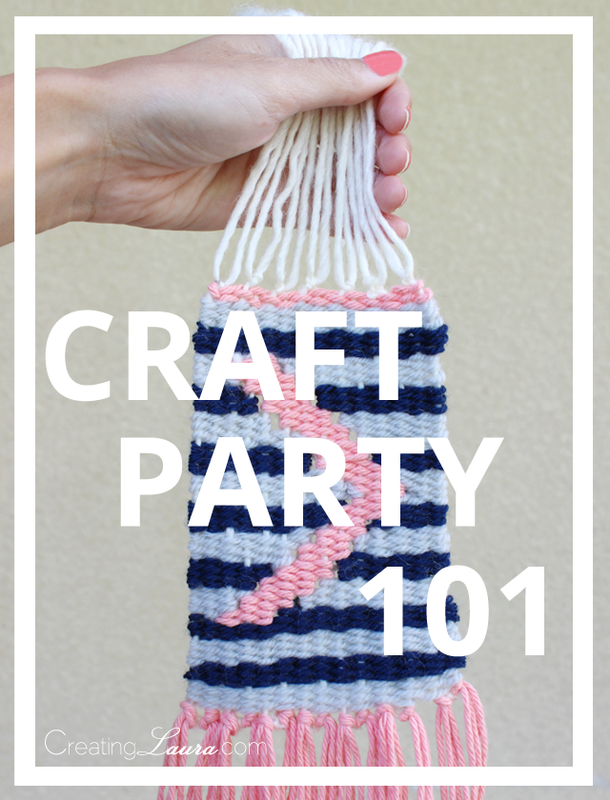 Have you hosted a craft party before? What are some other tips to make it a success? You are too cute!!! I am definitely going to do this ! Love this idea! I also love the projects you guys made, so cute!